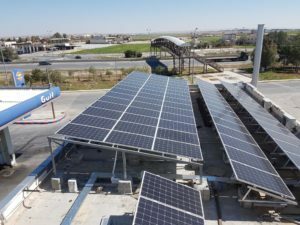 The solar company MIRNA, our long-term Premium Partner from Jordan, has installed a solar plant with 100 kilowatt peak for a gas station located near the capital city Amman. The photovoltaics (PV) plant contributes to the national energy independence strategy of the monarchy in the Middle East. 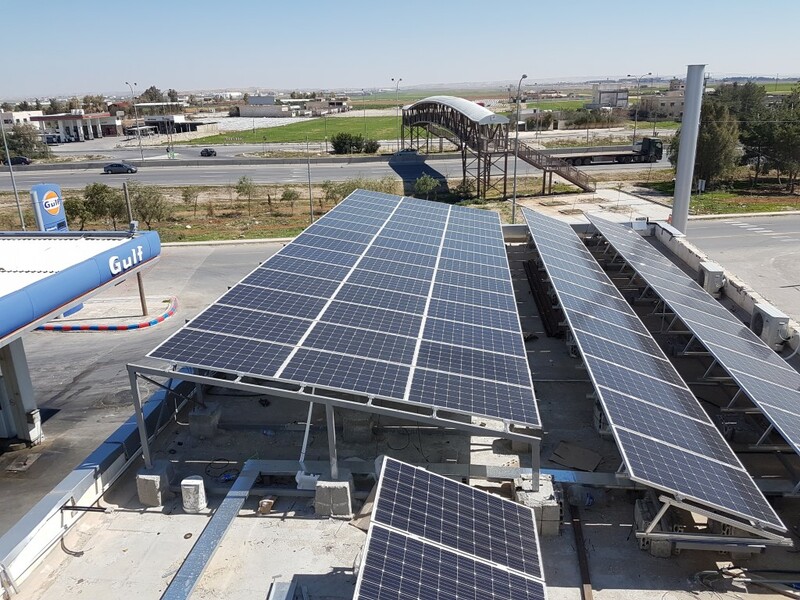 353 solar modules facing south have been installed on the roof of the gas station which is located near Queen Alia International Airport. The PV plant is meant to produce around 15,000 kilowatt hours monthly which are feed into the public grid. The PV plant contributes to climate protection with an annual CO2 saving of 59 tons.